Derby missed out on an eighth straight victory, and another clean sheet, as they were held to a 2-2 Sky Bet Championship draw at Fulham. 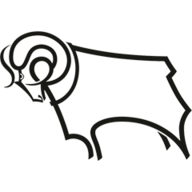 It was the Rams' second trip to west London in a week, and manager Steve McClaren made three changes from their win over QPR - the most notable being Craig Bryson given his first start since September. However, it was the home side who started the game on the front foot. Tom Cairney curled an effort over the bar after 12 minutes, while a Kevin McDonald volley just before the half-hour mark from a tight angle was well held by Scott Carson. There was an early blow for Fulham, when Tomas Kalas was substituted soon afterwards. This led to the first attack for Derby, who were able to stun their hosts with the opener. Ragnar Sigurdsson sliced a clearance from a Johnny Russell through-ball, to allow Tom Ince to net his second goal in a week with a low drive past David Button. 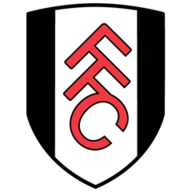 Fulham reapplied the pressure after their major setback, and with two minutes of the first half remaining Lucas Piazon put his effort across the face of goal - but he was not able to find a home player to connect. Their reward came in the first minute of stoppage time, when Floyd Ayite followed up his strike against Rotherham in the week with a tap-in thanks to good work by Ryan Fredericks. The goal was the first scored against the Derby defence in six games, although it was little more than the home side deserved. Fulham started the second half with a notable increase in confidence, although they were let down too often by a poor final ball. The lead was taken just after the hour mark for the hosts, when Stefan Johansen pounced on a poor clearance to fire home. The game-tying goal came on 75 minutes, when Alex Pearce buried home a free header from a corner delivered by Ince. Fulham again put on the pressure after conceding, and Piazon found his 84th-minute free-kick ricocheting off the crossbar. Both sides looked to try for a late winner, to cap off a lively contest, but the final scoreline was a fair reflection of the game. "I cannot be completely satisfied.We paid a heavy price for making a mistake. We played all the football, dominated the game and created chances. "But it wasn't enough to win the game and this isn't the first time it's happened. We must work to improve ourselves and make ourselves more solid and competitive. They scored twice after our mistakes and in this competition that's not acceptable." "What the boys have done for the past seven games has been incredible. To win seven in any division is difficult - to win seven and keep six clean sheets is even harder. It had to end sometime and I'm pleased it didn't end in defeat. I'm so proud of the players and the staff. "Fulham kept coming at us and had our backs to the wall. This was the first time during our run we'd been behind and the players reacted well and got their reward. Our backs were against the wall and I was pleased with the spirit they showed after going 2-1 down. They stayed in the game and deserved the draw."